I am donating 10% of the May proceeds from my romantic suspense, Flying in Shadows, to Operation Migration. These guys are addicting. 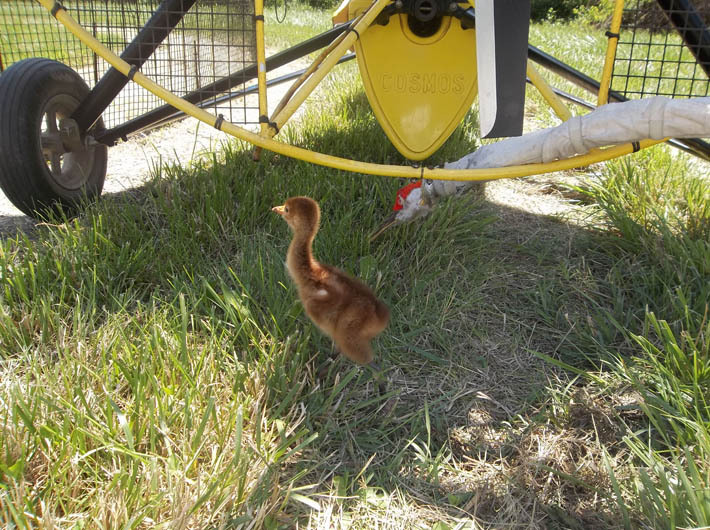 They raise highly endangered Whooping crane chicks (which grow to be 5 foot tall, by the way) and teach them to follow their glider plane from Wisconsin to Florida. Their travels are posted, photographed and videod. While you read a bit from Operation Migration’s own Heather Ray, I am off to go ‘purchase’ a mile of travel of for these dedicated scientists. Choose the Books drop down tab to read the Flying in Shadows book jacket blurb and view purchase links. 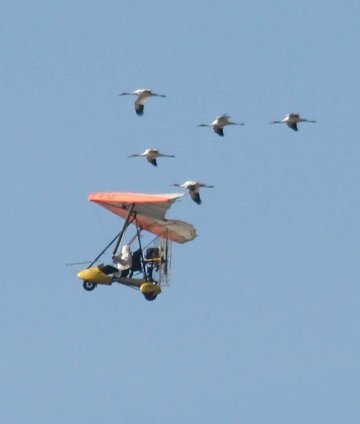 Operation Migration is a non-profit organization, which developed a method utilizing ultralight aircraft to teach migration to captive-raised, precocial bird species such as Canada geese, Trumpeter swans, Sandhill cranes and most recently, endangered Whooping cranes. 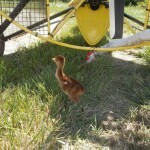 You may have seen their work in the 1995 Columbia Pictures film Fly Away Home. 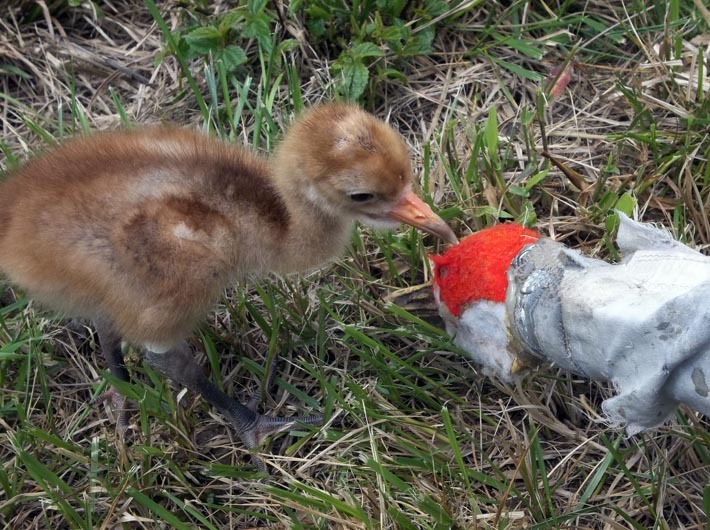 In collaboration with the Whooping Crane Eastern Partnership, Operation Migration has played a leading role in the reintroduction of endangered Whooping cranes into eastern North America since 2001. 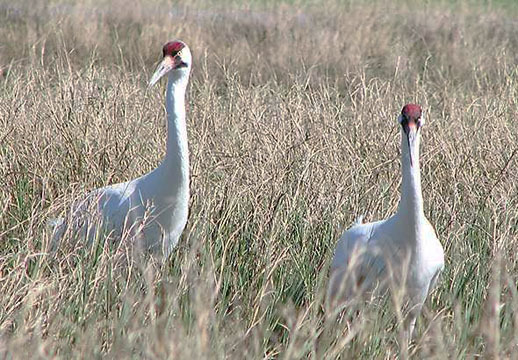 It is believed that approximately 1,400 whooping cranes existed in 1860. Their population declined due to hunting and habitat loss until 1941 when the last migrating flock dwindled to an all-time low of 15 birds. 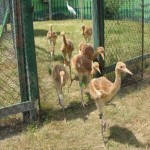 The wild, naturally occuring western flock has slowly increased to over 180. 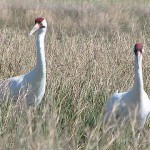 This flock winters in and around Aransas National Wildlife Refuge on the Gulf coast of Texas. 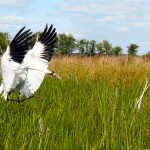 In spring, they migrate north, nesting in Wood Buffalo National Park, which straddles the border of Alberta and Northwest Territories in Canada. 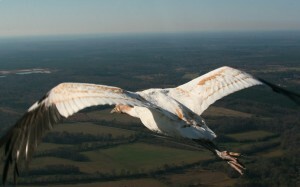 Scientists have long recognized the risk of having all of the wild whooping cranes using one wintering and breeding location. 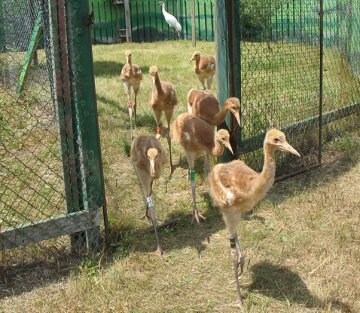 With all the wild birds concentrated in one small area, the population could be wiped out by disease, bad weather, or human impacts. 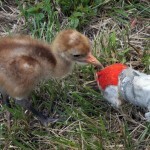 Whooping crane survival depends on additional, separated populations. 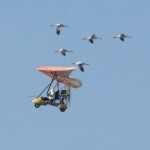 To that end, in 2001 Operation Migration (OM) and the Whooping Crane Eastern Partnership began using OM’s method to teach captive produced Whooping cranes and suitable migration path between Wisconsin and Florida. 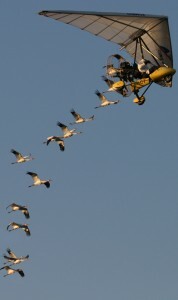 There are currently 108 cranes in this reintroduced flock and they continue to migrate – twice annually – between their summer home in Wisconsin and their Winter territories in southeastern U.S. 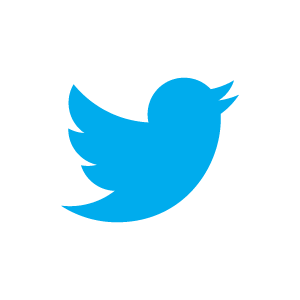 This link takes you to Operation Migration. 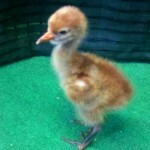 The folks here give you updates onthe migration of human-raised whooping crane chicks. 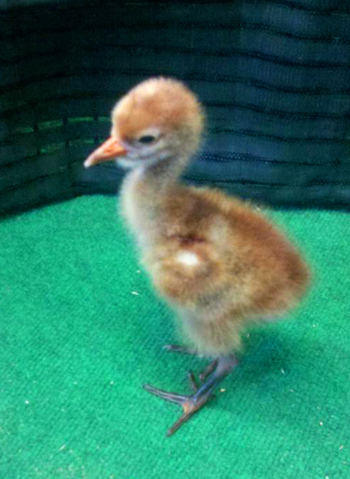 Photos and tracking of the real-time location of the chicks are only part of this amazing organization. The site is active year ’round!